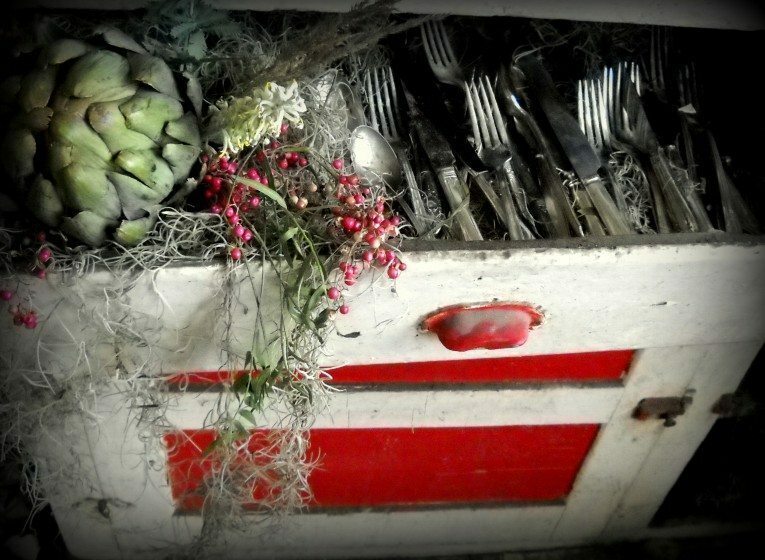 A review of Flower House Detroit, which ran October 16-18, 2015 at 11751 Dequindre St, Hamtramck, Michigan. 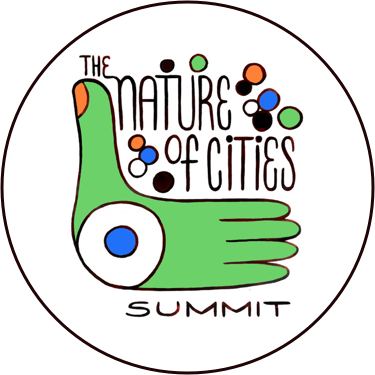 Once again, something amazing and ephemeral has appeared in Detroit. Flower House Detroit (which was actually located in the city of Hamtramck, 2 square miles enveloped by the city of Detroit) was, at its simplest, a gorgeous three-day floral installation in a two-story abandoned house. In reality, the project was much, much more. The back stoop of the Flower House. Lisa Waud was inspired to create Flower House Detroit after experiencing the 2012 Dior Runway show, which had been staged in an abandoned house filled with flowers in Paris. As a floral designer based in a neighborhood with more than its share of abandoned houses, Lisa knew that she was destined to create an installation that would bring the wild spirit of the Dior show to her hometown. As proprietor of pot + box, a flower studio operating in Detroit and Ann Arbor, Michigan, Lisa was uniquely qualified to inspire a team of designers, artists, photographers and event planners to bring her vision to life. There is a lovely symmetry to the plans for the Flower House. 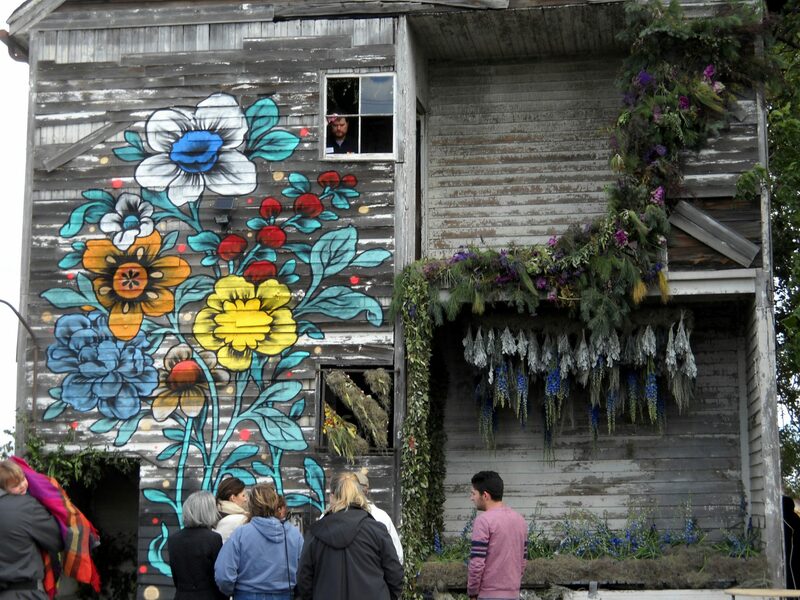 An abandoned, ruined home was filled with flowers, made beautiful once again before facing its final demise. One year, an Indiegogo campaign and a whole lot of planning later, the Flower House burst into bloom. The project was brought to life by a group of 37 floral artists, was visited by hundreds and was seen by thousands more through social media. Over 100,000 blooms filled 17 rooms; flower-filled tubs and toilets flowed from every bathroom, a 50s kitchen cabinet—trimmed in red and left behind—was stuffed full of coordinated flowers and vegetables. A dining room table grew out of a centerpiece of blooms, mosses and branches that reached from floor to ceiling and featured a self-contained water feature fed by a 50 gallon drum that had been sunk into the ground beneath the floorboards and filled with water. Exterior urban wall paper at the Flower House. 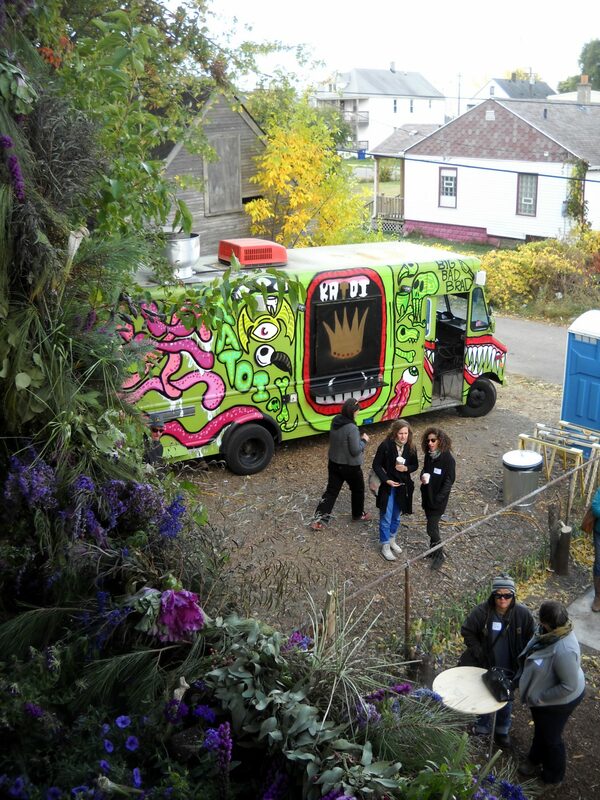 Katoi food truck at the Flower House. 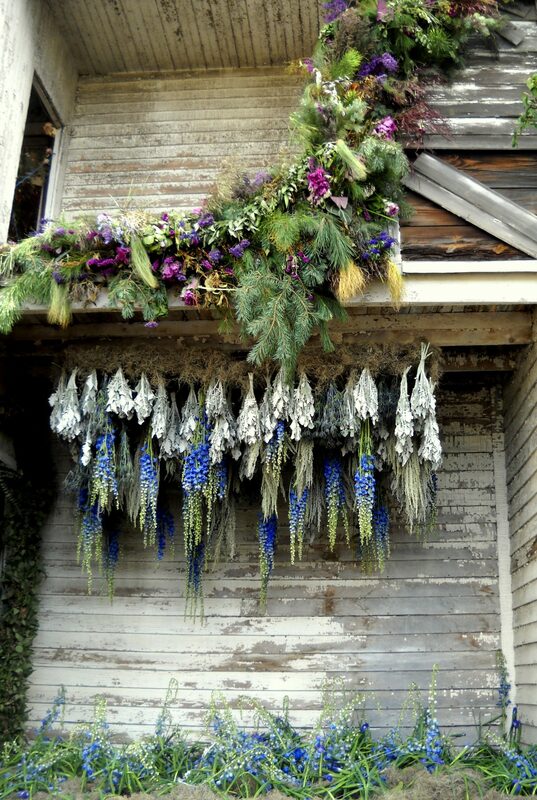 From front porch to back stoop, warped floorboard to cracked ceiling, the Flower House was spectacular. Ticketed visitors were admitted in 20-minute intervals and encouraged to post their photographs using the hashtag #flowerhousedetroit. I came to the house straight from another kind of installation: a Greening of Detroit tree planting, where 85 new trees were planted on a nearby street. When I arrived, the whole street was bustling – no doubt with more activity than it had seen in years. The sidewalk was flanked with buckets of blooms and inspired visitors were encouraged to design bouquets of their own after exiting the house. A food truck was on site and visitors were queued up and gazing at the rear façade of the house, which had been covered with “Wild Floral Graffiti” reminiscent of exterior urban wall paper. On entering, visitors’ senses were engaged immediately. There was the happy hum of cameras clicking and visitors alternately whispering in awe and exclaiming with surprise, “Amazing!” “So beautiful.” “I might cry.” The smell was incredible – it was the rich warm smell of earth and fading flowers and long golden grass warmed by late summer sun. The colors were so rich, and the textures so varied, that it was impossible not to reach out over and over again, to confirm that everything was real. In room after room, the decay of a long vacancy was buoyed up by rafts of flowers arranged in the most amazing configurations of color and pattern and motion. “A Floral Whirlwind” spun in an upstairs bedroom, while another bedroom featured the bed that every little princess dreams about, strewn with flowers and bowered with an astonishing daisy chain. 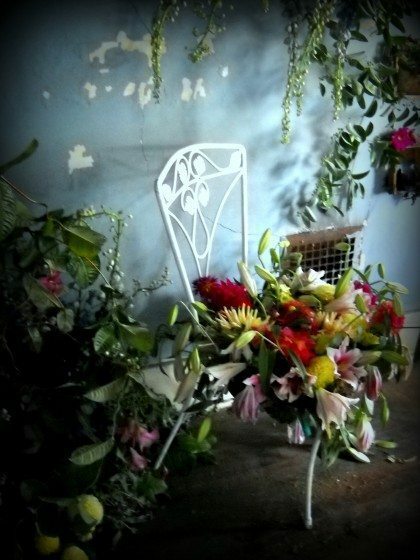 In the living room, the seat of a chair burst through with hundreds of stems. Every crack in the foundation, every wall where lath showed through ruined plaster, every hole where a fixture once hung, featured, for one weekend, something alive, and beautiful, and inspiring. A kitchen cabinet in the Flower House. 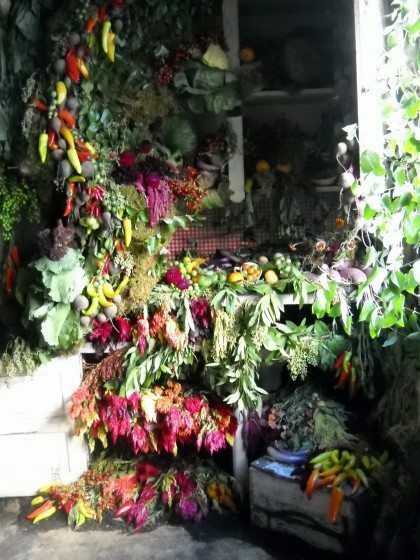 The kitchen at the Flower House. The living room at the Flower House. The Flower House was designed to last only a single glorious weekend. The web resounded with the anguished cries of those who didn’t get tickets to the sold-out spectacle. But the best may just be yet to come. 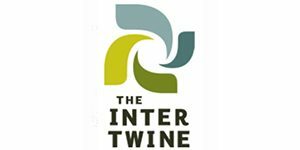 Lisa Waud and her partners in the Flower House are committed to the Slow Flower movement, which advocates for propagation and use of locally grown and seasonal blooms. One of the most delightful aspects of the Flower House was that it made room for local flowers. During installation, local flower farmers dropped off buckets of blooms to be added to the house, contributing to the unique character of the project. This generosity is a hallmark of Detroit’s community of growers, and it was a most appropriate way to welcome Lisa to the fold, given her plans for the future. There is a lovely symmetry to the plans for the Flower House. 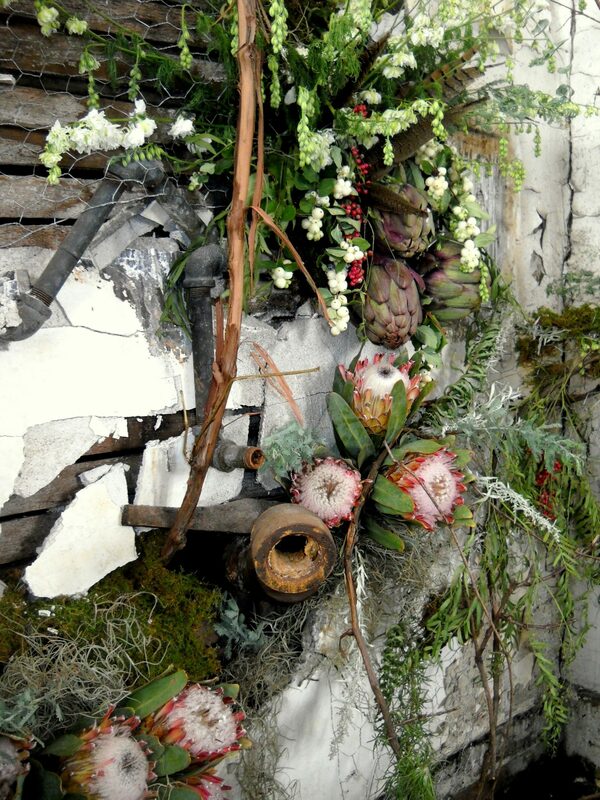 An abandoned, ruined home was filled with flowers, made beautiful once again before facing its final demise. The installation, designed to be fleeting, was then dismantled and composted – 100,000 blooms returned to the soil. Next, the house will be deconstructed. At least 75 percent of the raw materials will be recycled for other projects by Reclaim Detroit, a program of the Detroit non-profit EcoWorks. And finally, the site will once again be made beautiful with flowers, this time as the site of a flower farm, growing blooms that will be used in more wonderful pot + box productions. 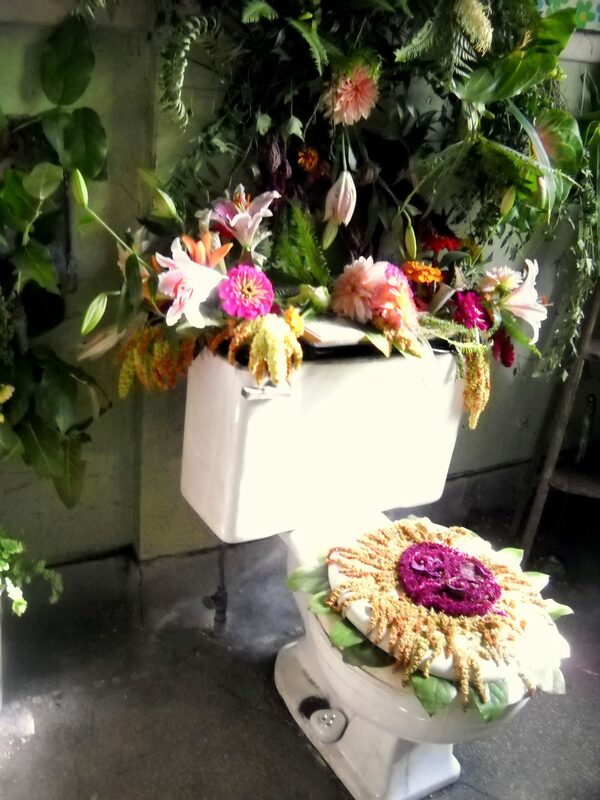 Toilette at the Flower House. Kitchen plumbing at the Flower House. Detroit can’t wait to see what grows next.